A writ petition was filed by T. Koshy, a senior citizen, challenging the gross injustice, hostile discrimination and the illegal extraction of huge sums of money by the respondents in the exercise of their powers under the Advocate’s Act 1961, for the enrolment of Advocates, held on 24 May, 2015. 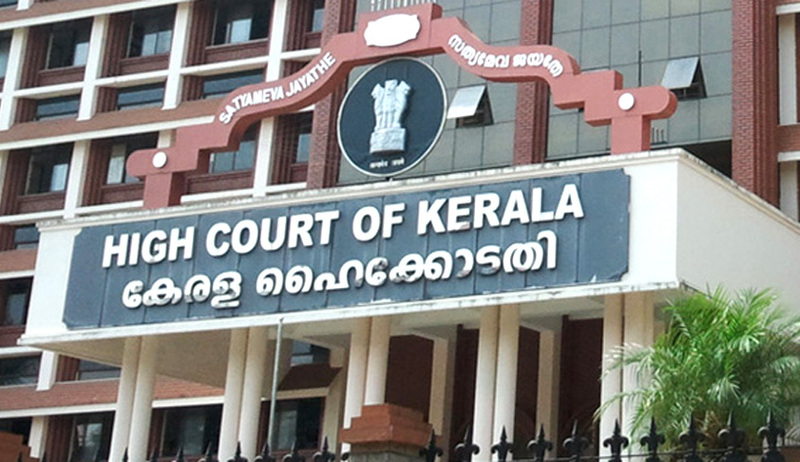 In gross violation of the provisions of law regarding amendment of a statutory rule and inconsistent with the provisions of the Act, the respondents declared to have amended Rule 2(a) of the Bar Council of Kerala Rules, 1979 purportedly under the authority conferred in sub-section (2) of Section 28 of the Act resulting in arbitrary and unlawful treatment towards the petitioner and other similarly placed candidates seeking enrolment as advocates. The petitioner retired on superannuation from the Indian Postal Service, Group A in January 2011. He then appeared for the Common Entrance Test for admission to LL.B III Year (Regular) Course and joined the LL.B. III Year course 2011-2014 at the Government Law College, Ernakulam. Thereafter, the petitioner approached the Bar Council of Kerala (1st respondent) to enroll as an Advocate and was informed that, being a senior citizen retired from service, a special fee of Rs. 35000 had to be paid by him over and above the enrolment fee fixed for ordinary candidates. On enquiry he was informed that the policy of the respondents is to discourage senior citizens from entering the legal profession and, for that purpose, a heavy amount is levied from them as a deterrent. “The respondents by way of an illegal amendment to Rule 2(a) of the Bar Council of Kerala Rules 1979, introduced a rule by which they could extract exorbitant amounts from candidates like the petitioner who sought enrolment as advocates,” the petition mentioned. Section 28 (2) (d) of the Act authorizes the respondents to make rules providing for the conditions subject to which persons may be enrolled as advocates, but it has been misused with no intelligible differentia. The interpretation of the Act in this way will only defeat the intention of the legislature. The Bar Council of Kerala has no jurisdiction under Section 28 of the Advocate’s Act to amend Rule 2(a) of Chapter V of the Kerala Bar Council Rules 1979; to alter and enhance the fee structure laid down by the Parliament in clause (f) of sub-section (1) of section 24 of the Advocate’s Act. The respondents have no authority to classify the candidates seeking enrolment as advocates into different categories on the basis of the number of years after passing the LL.B examination or having retired from service and seeking enrolment after the age of superannuation etc. Such a classification is made solely for the purpose of extracting higher amounts of money, and has nothing to do with the object of the Act as given in Chapter III. The respondents have fixed a heavy amount of penal charge on the petitioner for the clear purpose of restraining him from enrolling as an advocate, which is violation of Articles 19 and 21 of the Constitution of India. All the amounts collected by the respondents are made without any authority of law and bear no correlation to the service provided in return. Further, the respondents are creations of the statutes and are bound to observe the principles of natural justice while exercising their right to make rules. High Court of Kerala has admitted the Petition and issued notice to the parties.